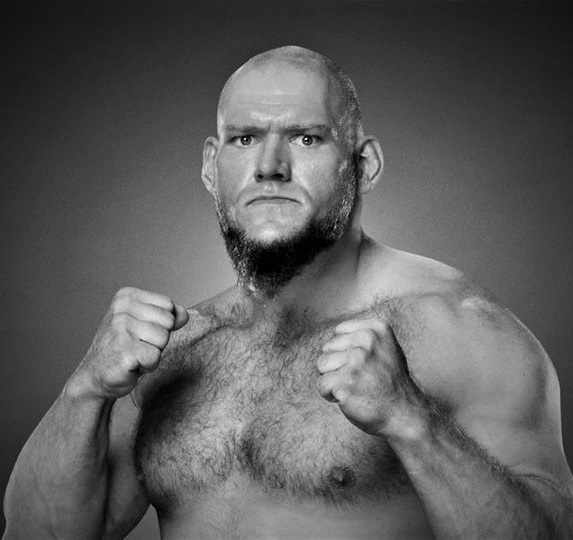 Massive Lars Sullivan, all 6-foot-3 and 300 pounds of him, has been in the WWE talent pipeline for nearly half a decade. Until anxiety issues temporarily derailed his debut, sidelining him until this week’s post–WrestleMania Raw, he was one of many “next big things” percolating in NXT—very special emphasis on “big” and “thing” in his case. Wrestling has always needed its archetypal monsters, its freakish Samoan savages and battle-scarred Sudanese butchers, and when promoters like Vince McMahon can’t find them, they have to manufacture them. Sullivan, who seems likely to become an inescapable part of future WWE main events, made his first Raw appearance as a merciless destroyer of recently retired Kurt Angle—a big part of the company’s past.